The front of the card. I used some Spellbinders dies to cut all the fancy, schmancy stuff. The image was simply downloaded to my computer, and printed with a standard printer. For the snow, I used a combination of Flower Soft Glitter Frosting (Hint of Green), and Flower Soft Polar White. Of course, both were adhered to the card using Flower Soft Glue. The sparkle at the top and bottom of the front of the card was created by laying down a strip of this SUPER tacky and strong Kool Tak Premium EXTREME tape. You can read all about it by clicking on the link, but I've gotta tell you that this is some GREAT stuff!! I used the 1/8" size and once I peeled off the paper backing to expose the sticky side, I covered it with more of that Flower Soft Glitter Frosting (Hint of Green). This made a really pretty frame for the top and bottom of the card, and it adds such a beautiful sparkle to it. This is the first two panels of the inside of the card. This is where I thought it would be so tricky, but each download comes with easy to follow, printable instructions, and it really was a breeze to cut and put together. Just a little bit of hand cutting and VOILA! Here's a closer view of the front of the card and you can really see the sparkly tape that frames the top. The second set of panels on the inside. I just added some Spellbinders border for framing at the top, and another sentiment download for the inside. All-in-all, I'd would say that I was very happy with how this turned out. As I said, it was so much EASIER than I thought it would be and it went pretty quickly. Anytime you need a really spectacular project that definitely packs the WOW factor, then this would be an excellent choice!! These Winter Theater Card Downloads are currently on sale at HALF THE REGULAR price at Flower Soft. 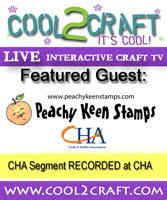 Thanks for stopping by today, and HAPPY STAMPING!! Very impressive!! It certainly looks very complicated, despite your assurance that it was easy. Lovely affects with the Flower Soft, Spellbinder dies and the images! This is truly remarkable! Beautiful card Lorie! Love it!